← NEXUS WORLD TOUR – 1984 – A DIARY, Part 10. Government spies and an adieu to Kwang Chao. In the early days of May, 1958, as my first year in college was ending, I wrote Igor Stravinsky’s publishers J. 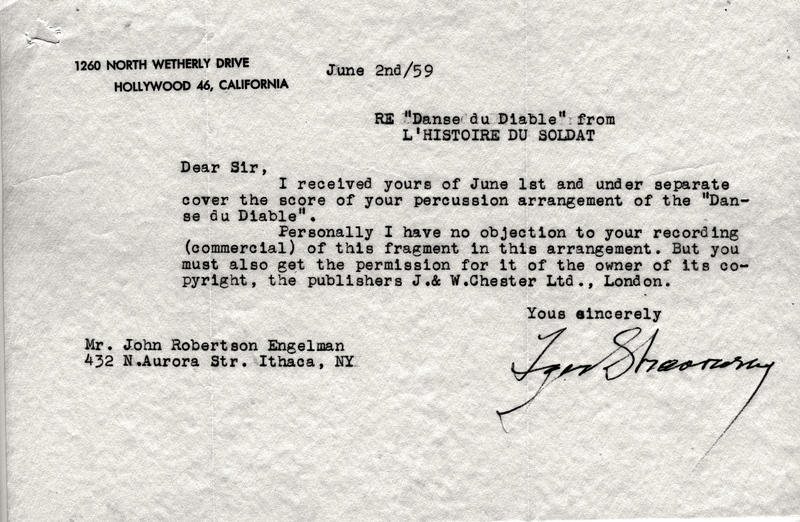 & W. Chester Ltd. to ask if I could arrange for percussion quartet, the three dances from Stravinsky’s L’ Histoire du Soldat. 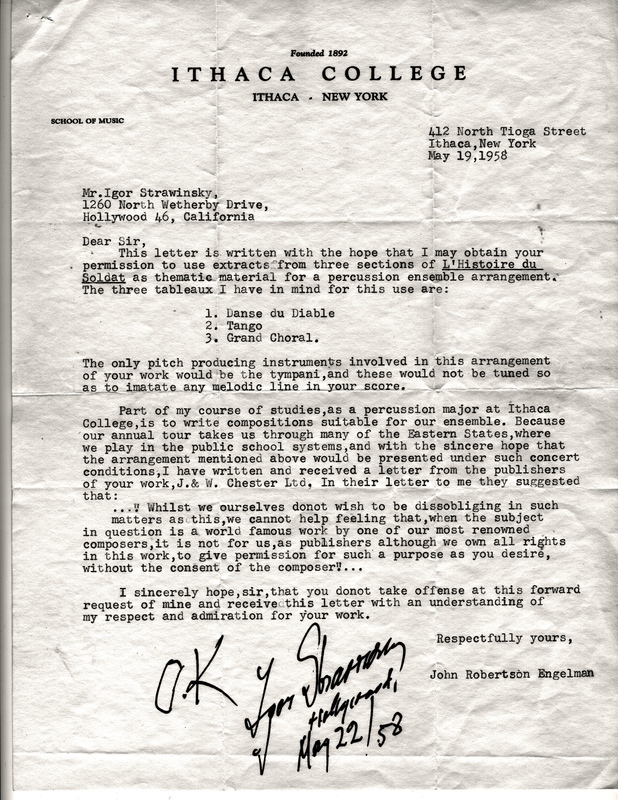 The letter I received in reply is copied below as well as further communications between myself, Stravinsky and his publishers. 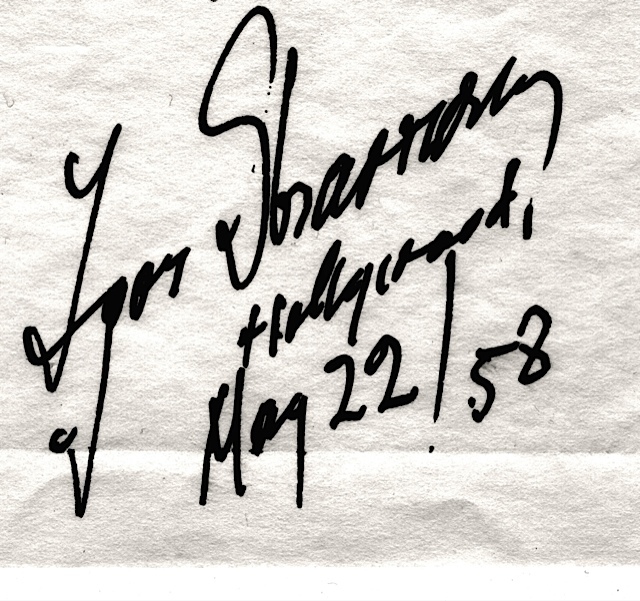 Though I blush to inform you, Dear reader, please note the absence of my signature on my letter to Mr. Stravinsky. Ooops! [1.] 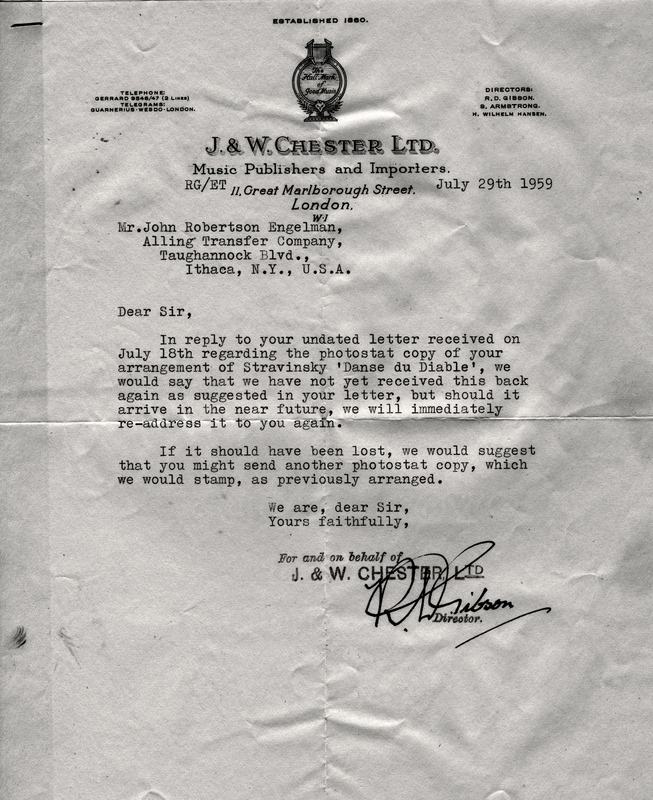 I have received a few letters asking about this arrangement,which turned out to be only one, the Devil’s Dance. I did finish it, it was recorded by the Ithaca College percussion ensemble conducted by Warren Benson on Golden Pressed Records. I have three recordings dating from the late 1950s, but the surface noise makes it almost impossible to listen to them. I still have the score and I’m not sure about the parts. At any rate I’m not really interested in hearing a performance today. The arrangement has some merit, but not enough I think to justify a modern audience or me. I don’t even know if Golden crest records exists and if it does, if it would have a master of the album called Warren Benson Conducts. 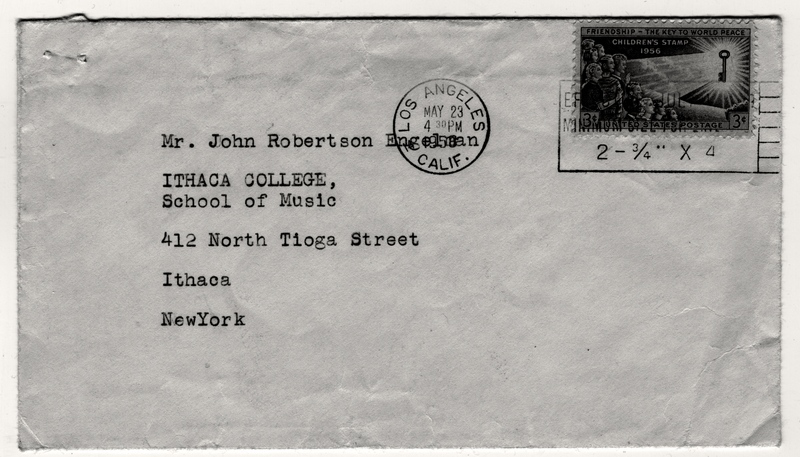 Tags: Igor Stravinsky, Ithaca College, J.&W. 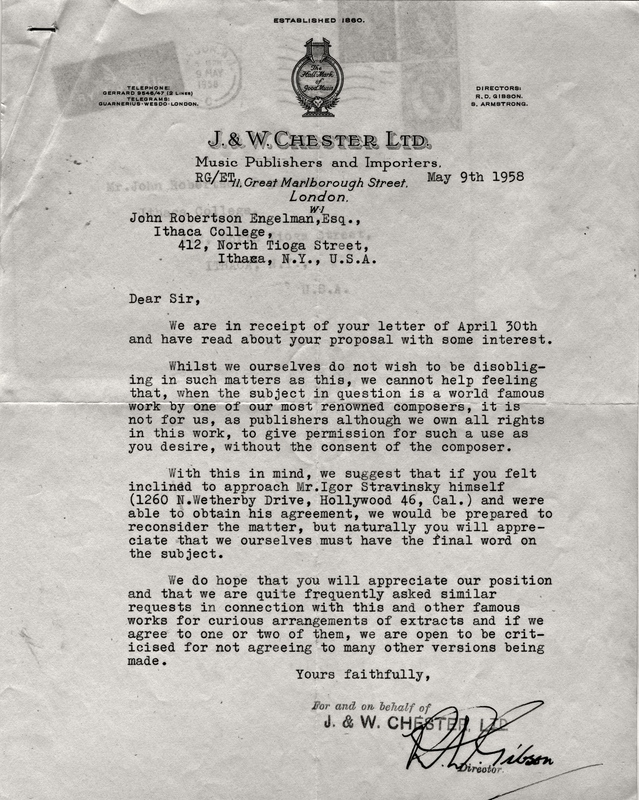 Chester Ltd.
Now how do we hear the the arrangements? Now how do we hear the arrangements? Hi Frank – Did you and Rick get getogether on your replies? Hi Rick – Did you and Frank get getogether on your replies? 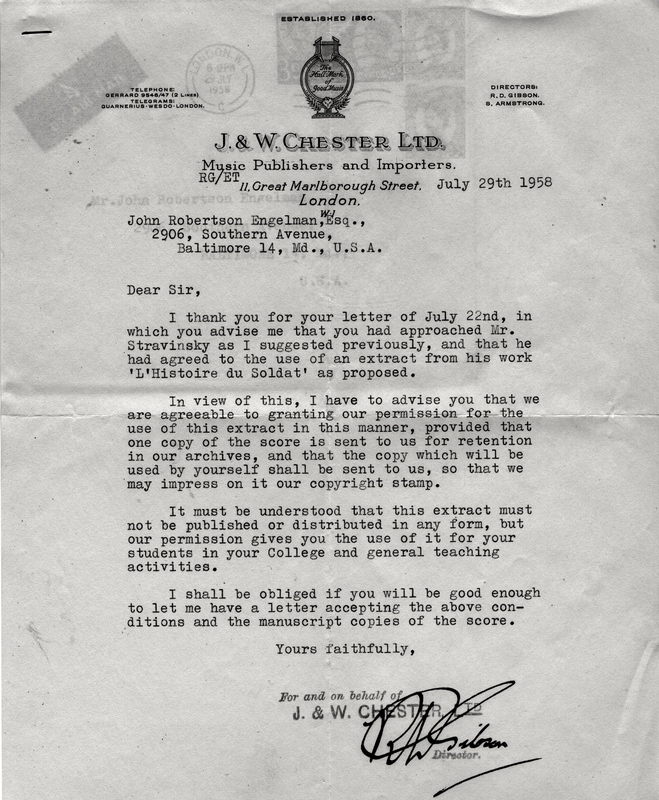 I love the language and tone in the letters from the publisher! Bill B.